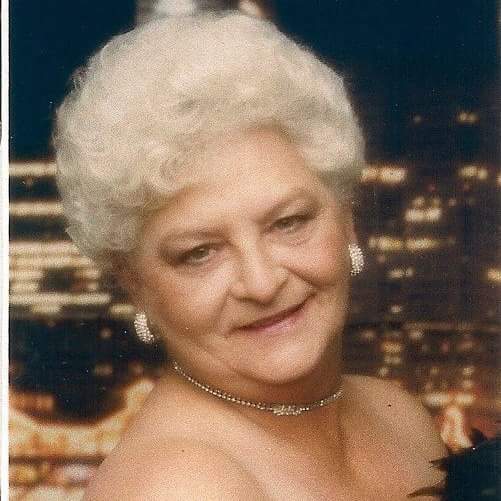 Obituary for Carol A. (Voy) Swanborg | Anderson-Long-Klontz Funeral Home & Cremation Services, Ltd.
Winnebago, IL. Passed away on Wednesday, September 26, 2018 in her home surrounded by her loving family, after a long battle of Ovarian Cancer. Born on December 18, 1943 in Rockford, IL to Carl and Wilma (Kroll) Voy. Carol married James D. Swanborg in Rockford, on August 8, 1964. She loved being with her children and grandchildren and was very proud of them. She retired in 2005 from Rosewood Care Medical Records and also worked for her son-in-law as office assistant for 14 years. She greatly enjoyed crocheting, cooking, reading and especially collecting any and all John Wayne memorabilia. Seven siblings, Roger, Lenora, Charles, Loretta, Janet, Donald and Susan. Visitation on Monday, October 1, 2018, 10:00 - 11:00 a.m. at Anderson-Long-Klontz Funeral Home & Cremation Services, 6825 Weaver Road, with graveside services at 11:30 a.m. in Willwood Burial Park, 7000 West State Street, Rockford, IL. with Rev. Ralph Kuespert, Interim Pastor of Capron Lutheran Church, officiating. In lieu of flowers, contributions would be appreciated for a future memorial to be established.